Conotoxia, one of Europe’s most innovative fintech brands, will be featured in the movie "Creed II". In anticipation of the film’s release, Conotoxia Holding Group released a special promotional video with stars of the film Michael B. Jordan and Florian “Big Nasty” Munteanu. "Creed II", the latest installment in the legendary "Rocky" saga and starring Jordan and Sylvester Stallone, will be distributed theatrically in the U.S. by Metro Goldwyn Mayer Pictures (MGM) on November 21, 2018, and Warner Bros. Pictures will distribute the film internationally. Steven Caple Jr. "(The Land)" directs from an original story and screenplay written by Juel Taylor and Sylvester Stallone, story by Sascha Penn and Cheo Hodari Coker, based on characters created by Sylvester Stallone. Ryan Coogler, who co-wrote and directed "Creed", returns as an executive producer alongside Michael B. Jordan and Guy Riedel. The film is produced by Irwin Winkler, Charles Winkler, William Chartoff, David Winkler, Kevin King-Templeton, and Sylvester Stallone. "Creed II" arrives as the sequel to the Academy Award-nominated "Creed", a 2015 release directed by "Black Panther's" Ryan Coogler. 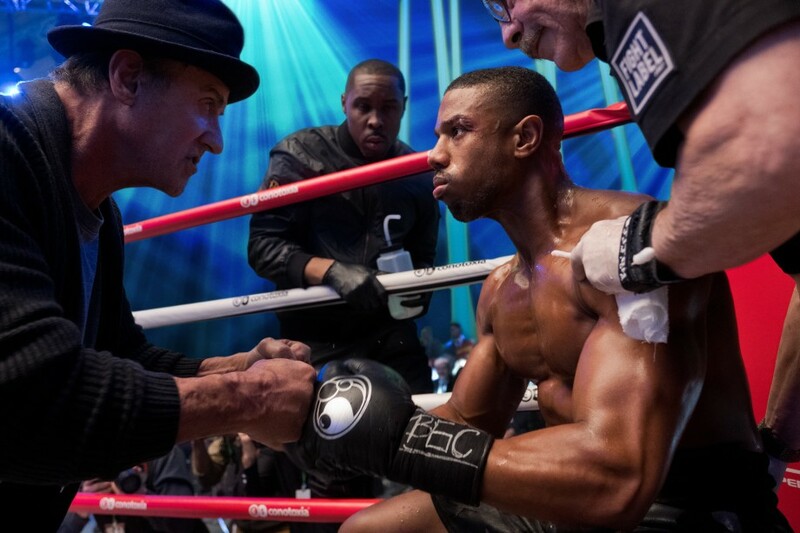 "Creed II" also stars Munteanu, Tessa Thompson, Dolph Lundgren and Phylicia Rashad. The international fintech powerhouse Conotoxia Holding Group offers a variety of financial services online: money transfers, payments, currency exchange and Forex trading. The Group’s top brands, Conotoxia and Cinkciarz.pl, will receive extensive on-screen presence and engage in the promotional campaign of Creed II. Conotoxia will be featured around the boxing ring during the climactic, final battle between Adonis Creed and Viktor Drago. “The business side of our involvement with Creed II is clear: global brand exposure, associated with an exciting film featuring huge Hollywood stars, like Sylvester Stallone and Dolph Lundgren,” said Marcin Pioro, CEO and owner of both Conotoxia and Cinkciarz.pl. The promotional video featuring Jordan and Munteanu, inviting audiences to see "Creed II", will be played in cinemas and promoted across the social media channels of Conotoxia and Cinkciarz.pl. Watch the trailer for Creed II and the promotional video of Conotoxia and Cinkciarz.pl.